I have seen Sarah Price's name as an author of Amish books for some time but had just never gotten around to trying one of her stories until now. After finishing First Impressions, I'm really glad I gave her a try! One of the things I enjoy about reading from a variety of authors is the different voices and twists they take on the same genre. Sarah's style in this book is a little different from any other Amish fiction I've read, and I enjoyed the difference. Her characters were fun to get to know. Watching them -- especially Lizzie -- struggle and grow through the lessons life throws at them kept me thoroughly engaged in the story. 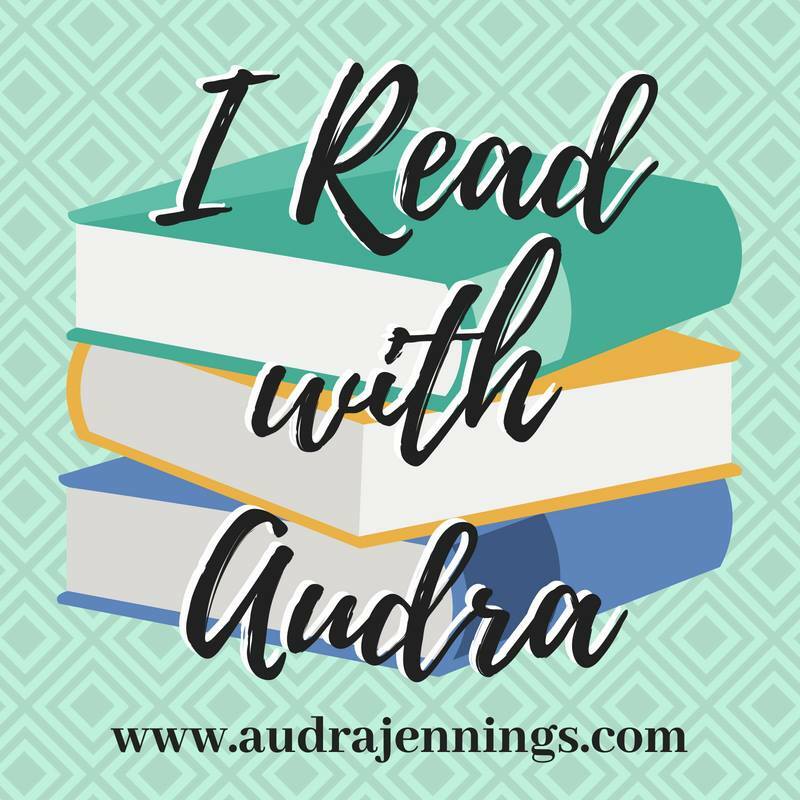 At different times throughout the story, I was drawn into a variety of feelings and emotions -- from heartbreak and aggravation to joy and tenderness, with some subtle humor thrown in for good measure. Although I have to admit that I have never read Jane Austen's Pride and Prejudice, from what I do know of the story, First Impressions is a very nice retelling. 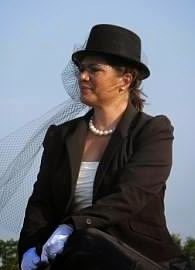 I would think that crafting a story that deals with differences in social classes among the Amish would be quite a challenge, a challenge that Sarah successfully met. 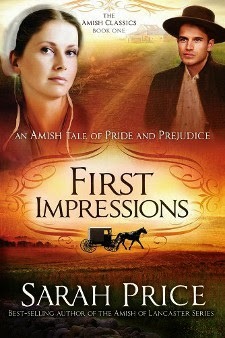 I would definitely recommend First Impressions to fans of Amish fiction. Fans of Jane Austen who do not normally read Amish fiction might also enjoy re-reading the story in a new setting. Thanks to the author for providing a copy of this book in exchange for my honest review. Will pride and prejudice keep the Blank sisters from finding love? With five daughters and no sons, Daed and Maem Blank are anxious to find their girls suitors who might eventually take over their family farm. When news arrives that Charles Beachey, the son of a prominent Amish farmer, will be returning from Ohio with his cousin Frederick, they are hopeful that the young men might be good matches for their daughters. 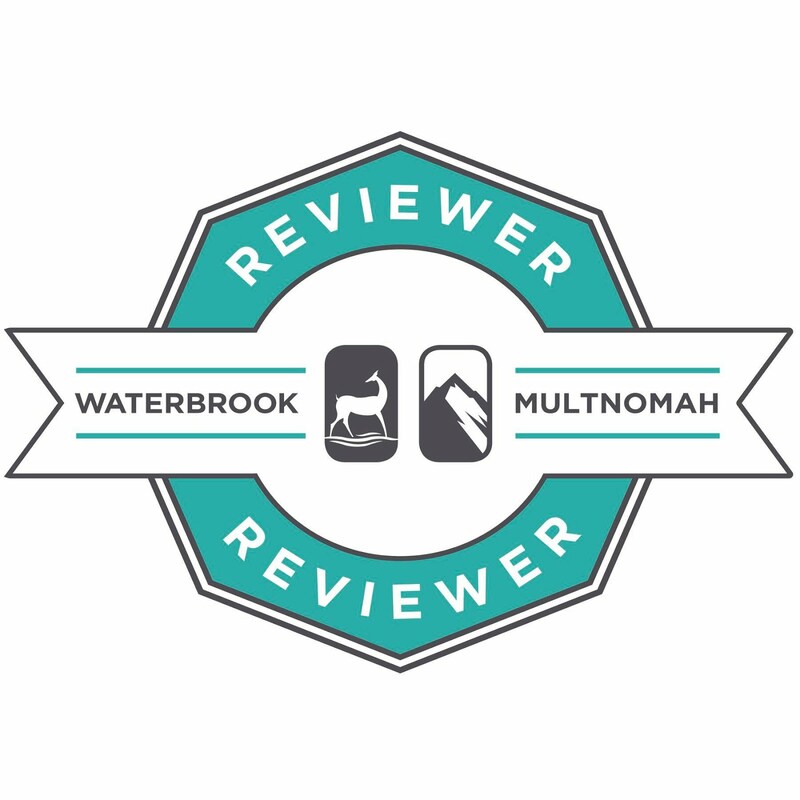 Have you had the experience of reading a series of books, thinking the first was really good, the second even better, and then the third just going really over the top great? Well, that's exactly what I found with Sarah Sundin's Wings of the Nightingale series! I just finished In Perfect Time and almost hated to see the series end. The nurses, pilots, and other characters from this World War II setting became my close friends, and I feel like I have experienced almost every emotion possible with them. These stories bring to life some of the joys and horrors their real-life counterparts experienced. The theme of God's willingness to accept and redeem everyone, no matter the past, shines throughout this book. And the romance is beautifully handled at a level that is both compelling and tasteful. 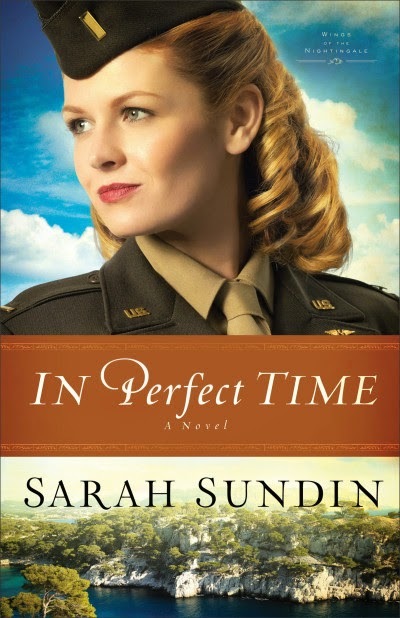 Sarah Sundin's extensive research into World War II certainly pays off in the quality of fiction she writes. She mixes in actual people and events with her fictional characters for a realistic portrayal of life in the thick of the fight. I suppose you could enjoy In Perfect Time as a stand-alone story, but it will definitely be more meaningful if you first read With Every Letter and On Distant Shores. Thanks to Litfuse Publicity Group for providing a copy of In Perfect Time in exchange for my honest review. See what other readers have to say about In Perfect Time here. Still, as they cross the skies between Italy and southern France, evacuating the wounded and delivering paratroopers and supplies, every beat of their hearts draws them closer to where they don't want to go. 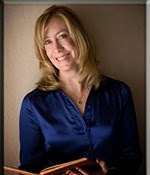 Sarah Sundin is the author of With Every Letter, On Distant Shores, and the Wings of Glory series. In 2011, A Memory Between Us was a finalist in the Inspirational Reader's Choice Awards, and Sarah received the Writer of the Year Award at the Mount Hermon Christian Writers Conference. A graduate of UC San Francisco School of Pharmacy, she works on call as a hospital pharmacist. During WWII, her grandfather served as a pharmacist's mate (medic) in the Navy and her great-uncle flew with the US Eighth Air Force in England. Sarah lives in California with her husband and three children.